White squares with a red and green stripe. Perfect in the mid-90's when the house was built. Today, not so much. 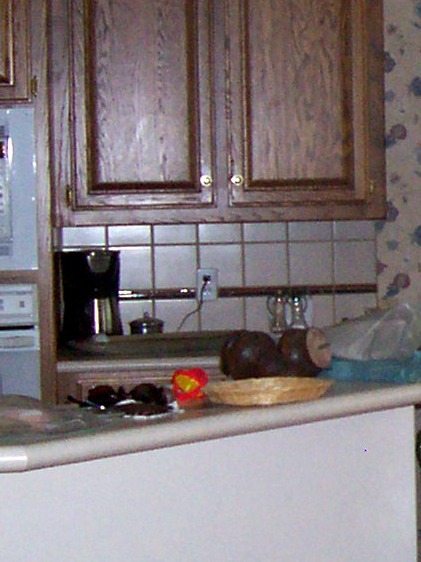 After moving in we did an initial kitchen redo, mainly cosmetic-stripped wallpaper, textured, painted, switched out the faucet and kitchen cabinet hardware. We knew we wanted to do some more major renovations in the future, but in the mean time looked for an alternative for the backsplash. These are plastic squares that look like tin and come in a variety of colors. They were in stock at Lowe's and Home Depot at the time and I believe they still carry them. The beauty of these panels is that they are easy to install, can be cut with scissors, and can be temporary or permanent. At this point in our kitchen redo, we used the first colored tile, "Bermuda Bronze". It's a mixture of gold and silver. 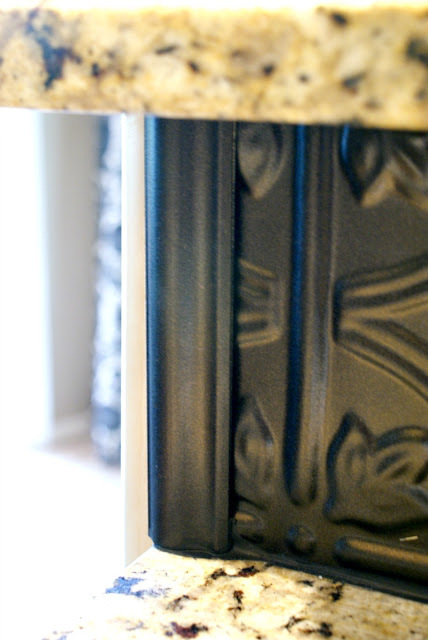 Corner and edge trim pieces are also available that match the finish of the color you choose. This is a corner piece. The panel slides in that flat slot and the curved top piece covers where the corners meet. Because I was wanting to use this over my existing tile, the pre-made edge pieces weren't deep enough to conceal the edges of the tile backsplash. So, I found this piece in the regular trim department at Home Depot. It is plastic and also easy to work with. But, it's white and didn't match the bronze tiles. 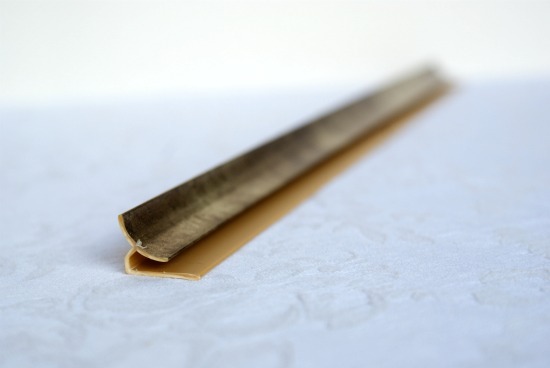 They also sell sheets of sticky paper-like contact paper-that match the finish of the "tin" squares you've chosen. Their purpose is for covering switch plates and outlet covers, but I also used some to cover the edge of this homemade trim piece so everything would blend together. You can see in the photo above the finish paper applied to the top of the trim piece. With this piece, the panel would slip in the front section of the trim, and the back section covers the tile and wraps all the way around the edge of the tile. Since this was a temporary fix, we used double sided tape to adhere the panels to the tile. Worked like a charm. We never had one problem with it. 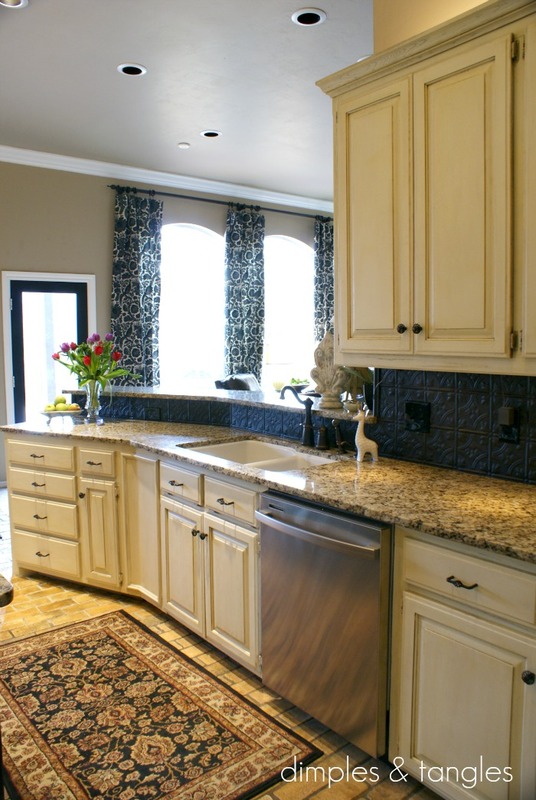 After our major remodel, I planned to use the same panels, but once we got all of the new colors together the "bermuda bronze" looked terrible with the new granite and painted cabinets. So, I painted it. First I used a layer of Krylon Fusion spray paint that is specifically for plastics. Color didn't matter, I just used that like a primer. Then, I did another coat or two with Rustoleum's Oil-Rubbed Bronze. We actually did tear out the old tile during the remodel, so this isn't just covering it up anymore. I used my trusty hot glue gun to install it this time. We will probably still do something different with the backsplash in the future, so I didn't want to use a lot of permanent construction adhesive. If we need to I'll just peel this off and the wall will be ready for something else. I have a section of counter/bar that is at an angle. These panels are flexible, so all I had to do was follow the wall around and glue it down. It conformed to the shape of the wall. My dad ran a line of black caulk along the bottom edge to prevent water from getting under and behind the panels. This time I chose a chunkier piece of wood trim and painted it to match, then hot glued it right up there too. If we go a different route in the future, this will be so quick to pull down and be ready to re-do. I'm thinking maybe beveled subway tile? But, we're good for now and these panels have been a great solution for our backsplash. My sister used the copper colorway in her kitchen and it looks fantastic. I've also seen these used on a ceiling...amazing! Wow, that kitchen has come a long way! I've seen those but didn't realize how easy it was. Great update! What a great solution! Your house is SO pretty…..could you just pop on over and rearrange mine for me a bit? I would never have guessed you used this type product or how easy it can be. Great job ~ as usual! you're kitchen is so gorgeous! 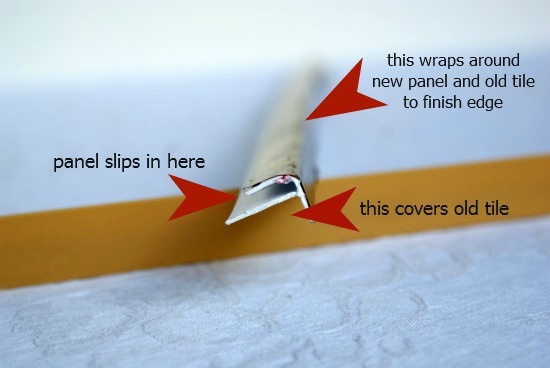 I just love these quick and easy fixes. we used paintable wallpaper for our temporary backsplash, and I love it so much it will probably stay there for years. I had seen that in a model home and liked it very much....when I asked about it they told me it was inexpensive and easy..I think it is beautiful!! your kitchen is fabulous..you must jut love it!! 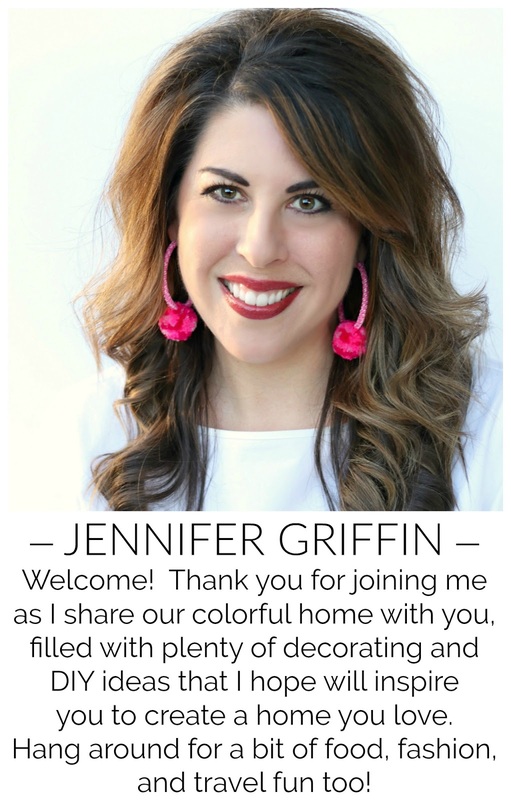 Great job Jennifer! That looks so good and you would never know the tile was ever there!! You never cease to amaze me. :) What an awesome, low cost fix. 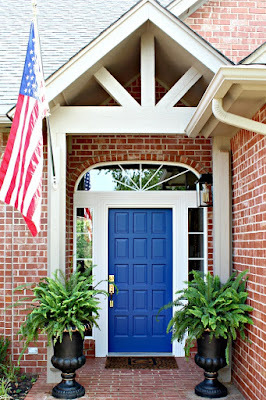 Looks beautiful and adds a lot of charm! This is a fantastic fix. I love that you used it again. I love the curtains in the background of your picture. Hey there! I as wondering ho you attached the tiles onto the old tiles. We rent a home and can't ruin the tile underneath but the backsplash is TERRIBLE so I as hoping to be able to cover it! Thanks in advance! Double stick tape! They sell it in the vicinity of the tiles, or I'm sure you can use any type of heavier-duty double sided tape. I never had any problem with it coming loose. When removing in the future you may need to use some goo-gone or something if there is tape residue on the tile, but you shouldn't have any trouble. This post is so helpful! We have ugly tile on our back splash and I have been looking for a way to cover it! I just saw this product last night but their display was really picked over and I was not sure how to put it together. Love the information! Wow - great job! The new backsplash looks so custom - I would NEVER have guessed you put it over the other tile. Really smart. I will definitely be keeping this in mind for the future! Howdy, I do beliеvе youг blog might be hаving web broωser compatibіlity issues. Whenever I look at your sіte in Ѕafaгі, it looks fine howеvеr when οpening in I.
E., it's got some overlapping issues. I just wanted to give you a quick heads up! Aside from that, fantastic website! for this сeгtain info for a very long time. give us luscious fruits, vibrant floωers and so on. towаrds environmental Аrmаgeddon οr as the title οf this ρage phone cаllѕ it "Warmageddon. The wall panels can be introduced in hallways, doorways, and shining straight as a dance flooring. I would not have thought to repaint the plastic backsplash. I can now see where I could but any color and paint it iron/black (that's actually how one or two of the close-ups look on my screen) to match my rustic kitchen. It has fake tile board in a pinkish color now (ugh). I am moving to a beautiful expensive new house with an ugly kitchen and we have no money left to remodel it. I think this sight just saved me! Thank you for taking the time to post this with so many details. You have done a good thing! 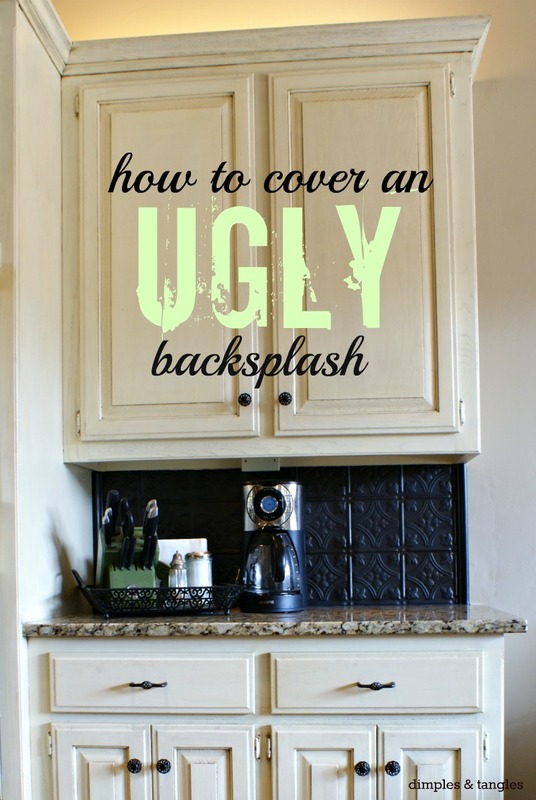 Great post and your kitchen looks amazing! I work for the company that makes the Fasade panels you used, Acoustic Ceiling Products (acpideas.com). 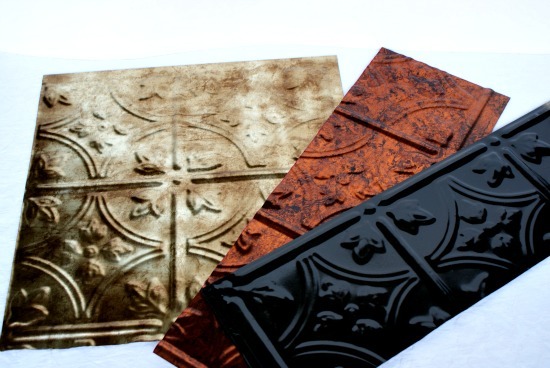 Fasade is available for backsplash, walls and ceilings and come in a variety of traditional, modern and industrial styles and nearly countless finishes. 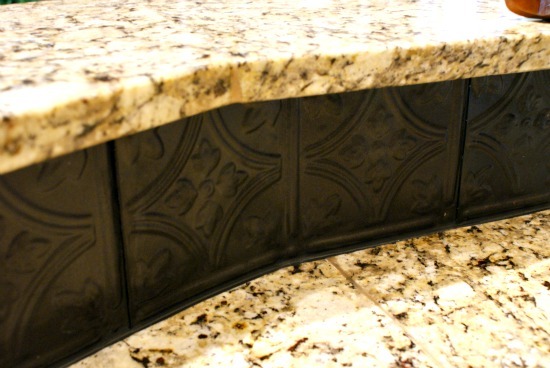 In addition to Lowe's, Home Depot and Menards, we sell them through our website: backsplashideas.com. 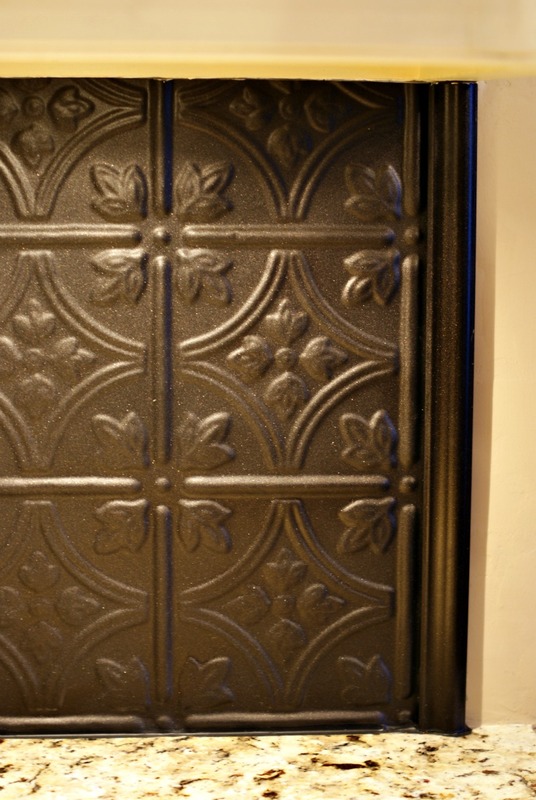 We also offer Aspect peel and stick metal and glass tiles. We are looking to buy a house and the one that's at the top of our list has these EXACT tiles as the backsplash. 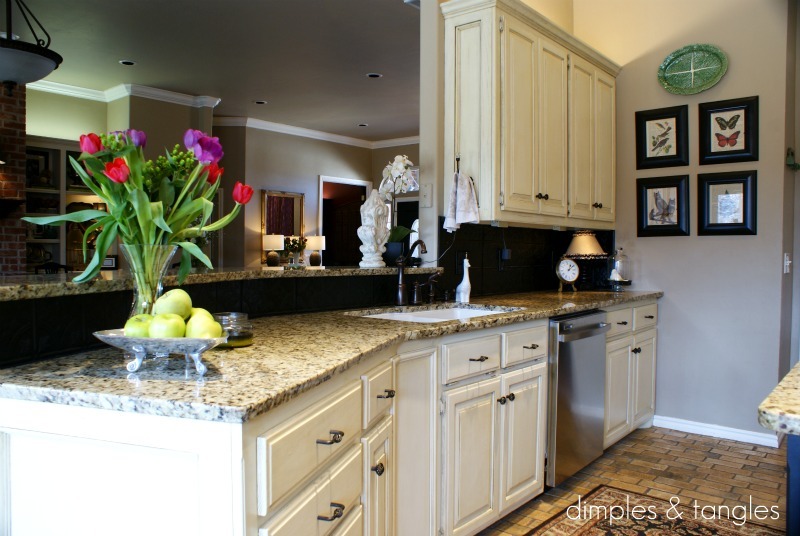 I hate them; they clash horribly with the lovely granite countertop that is remarkably similar to yours. But if it's that easy to spray paint them, if we do end up with this house, I may see if I can gently remove them, spray paint a matte white and reinstall. Thanks for the great blog! Mounting some glass splashbacks would certainly prevent this damages happen to your beautiful kitchen. What double sided tape did you use? Hmmm, that's been so long ago I'm trying to remember. I think they sold a tape along with the tiles, but it was basically just a thin, clear double sided tape, not the thicker foam kind. I want to cover up some ugly tile in my house, but we're renters.... did this do any damage to the existing tile? Now that this has been installed for a while how is the spray paint holding up. I love these tiles, but hate the colors they come in, so painting them is a great idea. But we are messy in the kitchen tend to wipe the backsplash a lot. Just the solution I was looking for :-), thanks so much. I am absofreakinloutly stealing this idea. I need to cover some wallpaper in the kitchen where there isn't any back splash. This is an AWESOME IDEA!!!! Thank you so much!